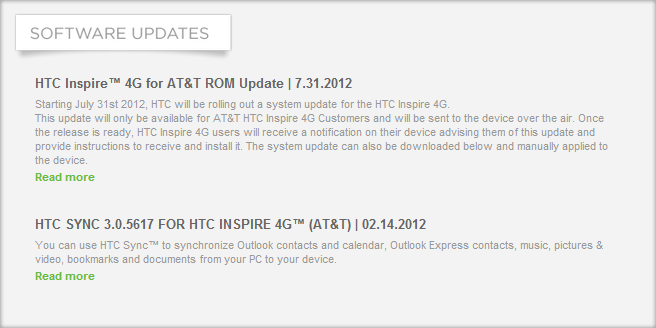 It looks like owners of AT&T's Inspire 4G should be expecting an OTA update any time now – HTC posted a notice to their support site earlier indicating that an update carrying software build 3.20.502.2 would begin rolling out July 31, 2012 (today). The update, which AT&T recommends setting aside about 20 minutes for, brings just a few new features and a small handful of fixes/enhancements. 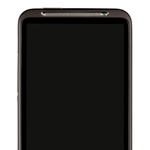 New features include HTC Sense 3.0, "Task Manager," and AT&T Address Book. Today's OTA also carries call optimization improvements (meant to reduce dropped calls), improved security, a fix for SMS thread contact display, and an improvement to the phone's use of background data. Those who don't want to wait for the update to become available for their handset also have the option of downloading the full RUU directly from HTC (linked below). For more information about this update and instructions on updating or using the RUU file, just hit the source link below.